MARBELLA, Spain — Like all meaningful change, it started with an admission. The year was 2008, and Borussia Dortmund, winners of the 1997 Champions League, 2002 German champions and 2002 runners-up in the UEFA Cup, realised they could no longer cut it at the sharp end of the Bundesliga table. “People saw us as a Champions League club, and we felt like one. But we didn’t actually deliver on the pitch anymore,” BVB sporting director Michael Zorc recalls. Sixth, seventh, seventh, ninth, 13th. 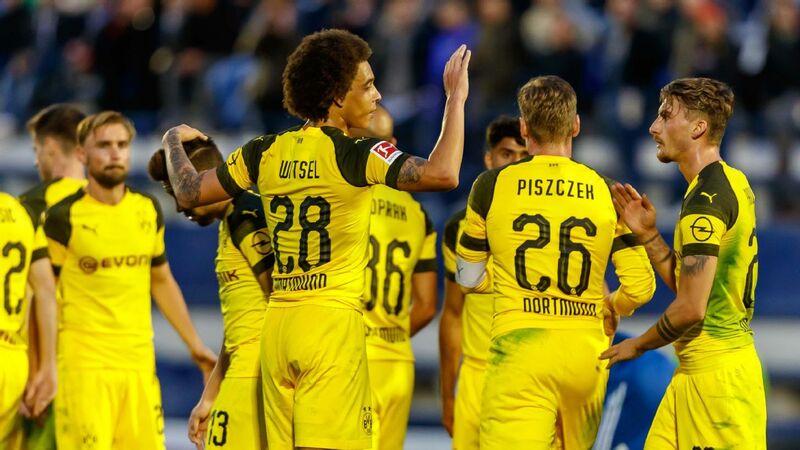 The Black and Yellows had become a second-tier team in the German top-flight, unable to invest heavily into the team due to sins from the not-so distant past. Wild over-spending, as a result of an ill-fated arms-race with Bayern Munich at the turn of the century, and the failure to qualify for UEFA’s biggest club competition had taken them “to the very brink of insolvency” (according to Zorc) in 2005 and from there, to professional football’s eternal dilemma. One part of the answer came courtesy of their hiring of a young, innovative coach who had worked a minor football miracle at second-division side Mainz 05. His name was Jurgen Klopp. But both the new man’s high-energy pressing tactics and Dortmund’s poor finances cried out for a different team as well. Overnight, the profile of transfer targets changed. BVB stopped looking at seasoned, mid-market pros and instead concentrated their efforts on identifying “young high-potentials,” in Zorc’s words: players who were at the beginning of their careers, hungry for game time, willing to learn and crucially, much less of a burden on the balance sheet. In 2007-08, the average age of new recruits had been just over 27 years. Twelve months later, it was reduced to 23.5 years and it went only further down from there, hovering between 22 and 23 over the following decade. And so, a decision born out of necessity has since become a hugely profitable business model. Dortmund’s ability to regenerate while signing, developing and selling their best players is a model other clubs are trying to replicate around the globe. Zorc laughs off the suggestion that he should be seen as the Bundesliga’s very own Billy Beane, but Dortmund’s re-emergence as Germany’s second-most successful club this decade owes everything to the principles of Moneyball. A scouting team that used to be run by Sven Mislintat, currently Head of Recruitment at Arsenal (and reportedly leaving), routinely unearths obscure talents and recommends players that other clubs seem to have overlooked. They are nurtured, integrated into a functioning core of more experienced players, given space and time to grow. After a few seasons they are sold on for vast profits to take advantage of their rapidly risen market value. Then the cycle starts anew, with Dortmund re-investing the proceeds into the next batch of fledgling top pros. In the last three years alone, Dortmund have raked in £427 million from transfers, including £103.5m for Ousmane Dembele (Barcelona), £57.8m for Pierre-Emerick Aubameyang (Arsenal) and £57.6m for Christian Pulisic (Chelsea), the latest high-profile departure. Dortmund’s combined outlay for the trio: a modest £24.3m. “Our ambition is to compete for the Bundesliga and regularly make the latter stages of the Champions League. If you look at the big boys we’re up against — Bayern, the top teams in England and Spain, Paris Saint-Germain — they each start the season roughly a quarter of a billion Euros ahead of us,” Zorc explains. “We need to have a different approach. “It would be naive to think that finances don’t have any influence on what happens on the pitch. That’s why we like working with young players who are at a level we can afford and generate money that we can use to close the gap somehow.” To put the importance of player sales for their bottom line into context, they made up £196m of the club’s record turnover of £473m in 2017-18. Of course, the main danger of being seen as a stepping stone is that players aren’t committed enough to perform consistently well. But that hasn’t happened at Signal Iduna Park so far. Dortmund have won two championships and two cups since 2011, and have only once missed out on the Champions League in the same period. They’re currently six points clear at the top of the league with Lucien Favre in charge, resuming Bundesliga play this weekend, and face Tottenham Hotspur in the last 16 of the Champions League in February. The Financial Times calculated that no club in the top five European leagues have spent as little as they have since 2008 – a net outlay of zero, with transfer fees adjusted for inflation – for a return as high as 1.9 points per league game. Zorc’s methodology, running the team like a hard-nosed commodity trader, would also seem at odds with the rather romantic notion of Borussia as a symbol of the city’s industrial roots. Yet it works. Zorc, right, is instrumental in Dortmund’s acquisitions. Their latest? The 19-year-old defender Leonardo Belardi, left, from Argentina. Increasingly, Zorc and his men look for unpolished gems in elite-level youth teams, where highly-gifted youngsters can sometimes feel undervalued by their clubs. England, in particular, has become an important hunting ground. Zorc has noticed that “youth development in Premier League academies has improved over the last 10 years, to the point of overtaking us in Germany to an extent.” He reveals that Bundesliga coaches are regulars at England youth internationals and many Championship sides stocked with loanees from the top flight. England international Sancho, 18, is currently the most exciting player in the squad. Bought for £8m from Manchester City 18 months ago, he’s evolved into one of Europe’s most promising wingers, worth easily 10 times as much now. Zorc says he wasn’t surprised, on the one hand — “you see the potential everyday in training” — but nevertheless seems taken a back by the “brutal way” in which the wiry winger has gone from occasional substitute to starter to mainstay in the side in the current campaign. 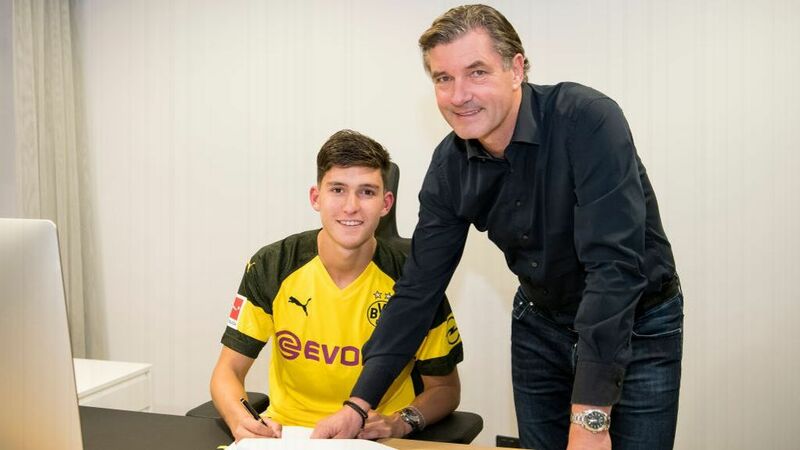 Rest assured, Zorc and his cadre of talent hunters will already have a firm idea of who the next Sancho will be when it comes to cashing in one of their prize assets once more.